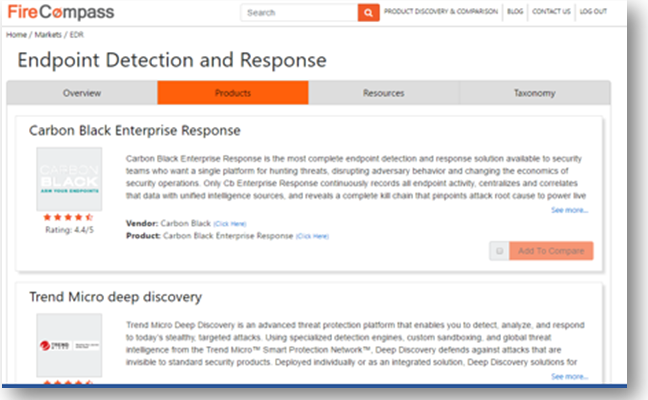 Discover over 15+ Endpoint Detection and Response vendors such as Carbon Black, Cisco, Fireeye, Crowdstrike, Symantec and many more in the Endpoint Detection and Response market. 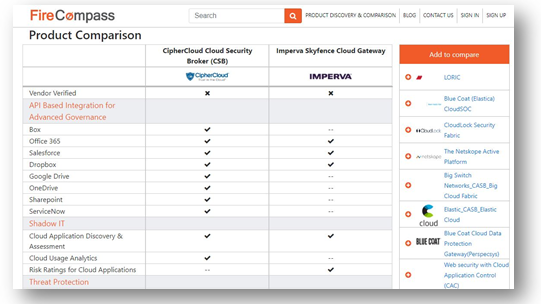 Compare EDR Vendors across features like Detection, Containment & Remediation, Investigation etc. to secure your endpoints and hosts. Eg- FirEye Vs. Symantec, Check Point Vs. Palo Alto , Tripwire Vs. Trend Micro and many more.